If you haven’t gotten season tickets yet, don’t despair—it’s NEVER too late to purchase them. Call the TCT office today at 662-844-1935 to discuss the ticket package that is best for you! You’re going to LOVE the 2017-2018 season. It promises to be one of the best ever and the best way to guarantee a seat for every production is with a season ticket. Don’t miss a minute—get your season ticket today! Note-Tickets for Hairspray are very tight, call the TCT box office now! Tupelo Community Theatre will present Hairspray The Musical on April 27-29 at 7:30 p.m. and at 2 p.m. on April 29th at the Lyric Theatre. Winner of 8 Tony Awards, including Best Musical, the story is set in 1962 Baltimore where dance-loving teen Tracy Turnblad auditions for a spot on “The Corny Collins Show” and wins. She becomes an overnight celebrity, a trendsetter in dance, fun and fashion. Perhaps her new status as a teen sensation is enough to topple Corny’s reigning dance queen and bring racial integration to the show. Tickets are $22 for adults and $10 for students and younger and go on sale to public at Noon on April 10th. For more information or to purchase tickets call 844-1935. Tupelo Community Theatre will present for One Night Only Tune In To Tupelo, an evening of art, film, dance, and music on November 18th at 7:30 at the Lyric Theatre. Scheduled to appear that evening include music by Danielle Adams, Kate Burleson, Evie Carney, Ben Eakes, Bianca Glenn, Mickey Gousset, Mary Frances Massey, Suzanne Oakley, Thomas Roper, Drew Robertson, Mersaidee Soules, Amanda Summers and Isaiah Traylor. The evening will also include spoken word by Asia Rainey, dance by Blake Summers, films clips by Jason Hassell, Glen Payne, and Michael Williams, and art by Jonathan Kent Adam. Tickets are $25 for VIP reception and seating in first six rows center, all other seating will be $15 for adults and $10 for students and younger and may be purchased by call the TCT box office at 844-1935. Tupelo Community Theatre will hold auditions for singers on Thursday, help mind October 6th at 5:30 in the rehearsal hall of the Lyric Theatre.\n\nThose auditioning should bring sheet music or a track, order an accompanist will be provided. Music may be original or any genre but TCT must be able to secure the music rights in order for it to be performed.\n\nThe event will be a one-night only performance November 18th at the Lyric Theatre celebrating music, dance, film and art.\n\nIf you need additional information please contact the TCT office at 844-1935. Auditions for Tupelo Community Theatre’s production of The Gift of the Magi will Sunday, unhealthy pills October 2nd at 2:00 and Monday, October 3rd at 7:00 at the Lyric Theatre. The cast calls for 9 women and 5 men high school of age and older. No advance preparation is needed and Debby Gibbs will direct. Production dates are December 8-10, 2016. The play is based on the classic O. Henry Christmas story of Della and Jim and their first Christmas together. In a strange twist of fate they find the perfect gifts for one another but at an unexpected cost.\n\nCast of characters-\n\nDella is young, affectionate, selfless and cares deeply for Jim, her husband. The story revolves around her predicament of procuring a worthy Christmas present for him when she only has a small amount of money.\n\nJim, Della’s husband, and “the lord of the flat,” is heavily burdened by the need to support the household on a low salary. Despite this burden, however, he’s described as content, quiet, and good-natured.\n\nMadame Vodskaya owns the hair shop to which Della sells her hair. Her manner with Della is brusque and to the point. Her manner directly contrasts that of Della and Jim, who value their love and sentiment over material value.\n\nDot and Donna Marie are Della’s sisters.\n\nClarice is Della’s neighbor. She has some major financial problems and comes to Della for help.\nArt and Digsby are fellow workers with Jim. They are good natured and looking to have a good time.\n\nLady Boot Clerk(Miss Robert) runs a boot shop where Della looks for shoes for Jim. She is a typical shop owner looking to make a sale.\n\nWatch Clerk runs a watch shop where Della wants to purchase something for Jim. He is stern but in the end gives in to the Christmas spirit.\n\nNarrators take us through the story and guide us along the way. They can be male or female.\n\nFor more information email the director at gibbsdr@bellsouth.net or call the TCT office at 844-1935. \n\n\nHave you ever wanted to know how the magic of theatre is created? Well, discount help here’s your chance to step behind the curtain and learn how some of that magic is created with lighting. Tupelo Community Theatre will present hands-on lighting workshop on August 6th beginning at 9:30 a.m. at the Lyric Theatre. If you are interested in learning more about lighting design, maintenance, and operation this is for you. Suzye Sheffield and Bronwyn Teague will lead the work session. Lunch will be provided as well as music, food and beverages at the conclusion of the session. To sign up or for more information contact 844-1935. Note- TCT has a waiting list for the morning session and only a few slots for the afternoon.Please call us before you mail any additional applications. 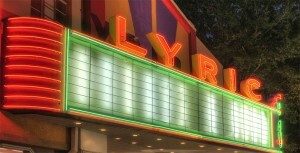 Tupelo Community Theatre’s Theatre Camp will be July 11-15 at the Lyric Theatre in downtown Tupelo. Theme for the camp will be “Jeepers Creepers: A Children’s Mystery”. Students who will be in grades 1st – 8th in the fall will receive instruction in drama, music, and art by professional educators. Campers will present a free production on Friday July 15th for the public. Cost is $100 for TCT members and for families with more than one sibling attending. Non-member cost is $125. Each camper receives T-shirt and daily snacks. A limited number of scholarships are available. For more information contact the TCT office at 844-1935 or www.tct.ms.